This building on Grant Road was a smoke shop for awhile and I'm not sure if it has a tenant at the moment. 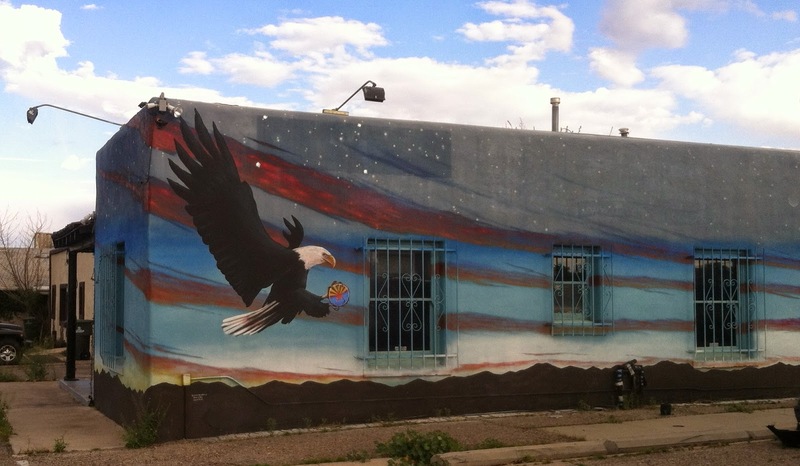 I hope whatever business moves in there keeps this fun mural that wraps around to the front! Looks like he's trying to land on the window bars!